The Ohio branch of the American Federation of Labor has reported that after canvassers spoke to thousands of 2016 Trump-backing union workers, they've uncovered that more than half are now planning to vote for Democrats in key statewide races on Tuesday's midterm election. Ohio AFL-CIO is a federation of labor unions that represents about 600,000 union workers in the state. 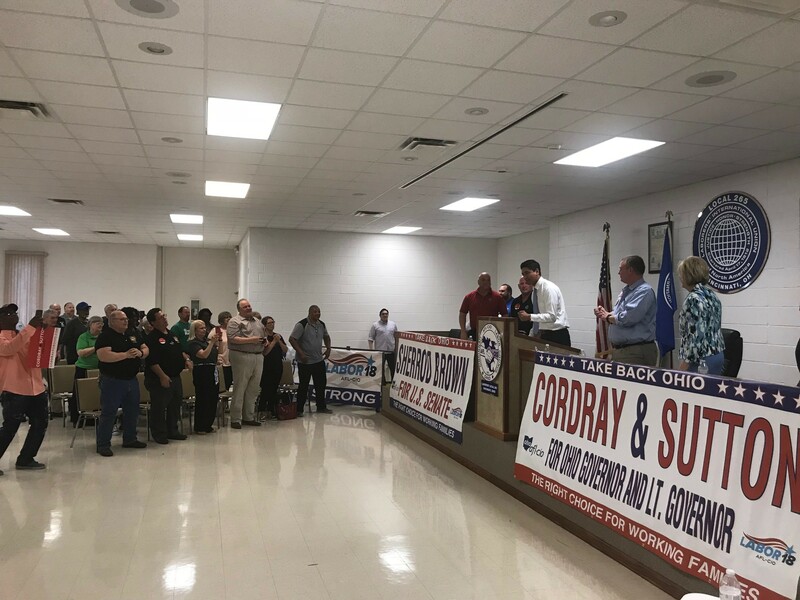 According to the AFL-CIO, about 51.4 percent of Trump-voting union workers plan to cast a ballot for Democrat Richard Cordray for governor, and 49.9 percent are voting for Sen. Sherrod Brown — currently Ohio's only Democrat holding a statewide office. The source of the estimates come from canvassers’ conversations with 15,283 union households that identified as Trump supporters in 2018. Ohio voters tend not to vote strictly along party lines, according to Sherrod Brown's campaign manager, Justin Barasky. Brown was first elected to the Senate in 2006 and has been popular in Ohio ever since, managing to keep his position in a state that is otherwise exclusively Republican with its statewide elected officials. Despite voting for Trump in 2016, many of the Union members aren't fans of DeWine after he had Ohio join 21 other states in a lawsuit against the US Department of Labor to block the agency from enacting a rule that would have made 4 million more American workers eligible for overtime pay. For Ohio, that rule would have offered overtime pay to approximately 300,000 more workers in the state, many of whom are members of the union. The ruling was suspended because of the legal challenge and DeWine made himself into an enemy of working-class Republicans. As it stands, the gubernatorial race in Ohio is one of the tightest in the country, and Vox goes as far as saying that if Richard Cordray pulls out a win, union workers will be the ones to thank for it, because they'll be "voting for policy, not politics."